My good friend, Melissa “Mel” Frink has been struggling with Alpha One Emphysema for a few years. Unfortunately, the disease has progressed to the point where her doctors have told her that she is in need of a life-saving lung transplant. Melissa is only 46 years old and is a caring, kind and generous soul. She was raised in Oxford, MA, has always been a hard worker and found her calling as a nurse which she finds immensely rewarding. For the past 13 years she has worked as a nurse in the bone marrow transplant unit at UMass Memorial Medical Center University Campus. 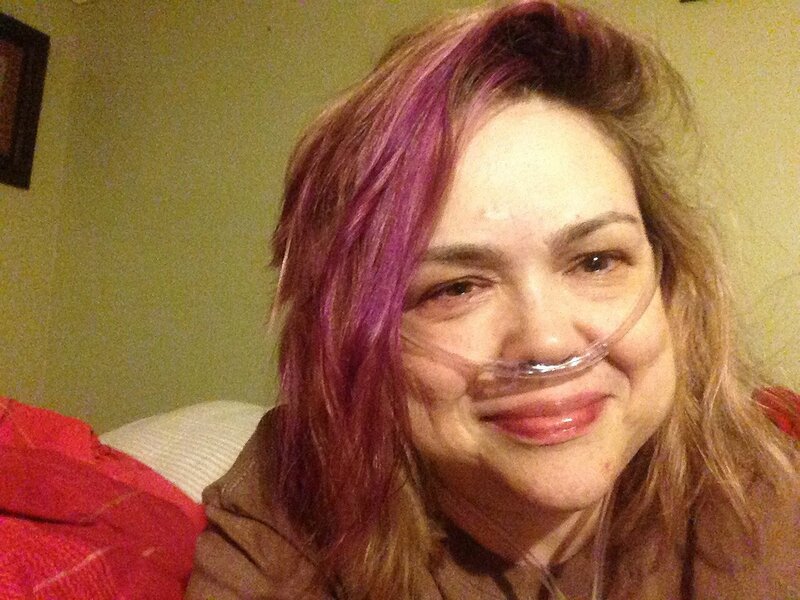 Melissa is now dependent on oxygen 24/7, no longer able to work or do many things we all do on a daily basis. She hopes that one day she can return to caring for her patients with a renewed experience and understanding of how to best care for and help others. Melissa has always been the caretaker, taking care of everyone and prepared for everything but she is not so prepared for this struggle. Even with insurance, there are many expenses that must be paid out of pocket. Some of these are co-pays, deductibles, travel and relocation at the time of transplant and Mel will be on a lifetime of very expensive anti-rejection medications. This is where your help is desperately needed. To help with the financial burden of Melissa uninsured expenses, a fundraising campaign in her honor has been established with HelpHOPELive, a trusted nonprofit organization that has been providing community based fundraising guidance to patients and their families for more than 30years. All donations are tax deductible, are held by HelpHOPELive in the Northeast Lung Transplant Fund, and are administered by HelpHOPELive for transplant related expenses only. Please consider a contribution. On behalf of Melissa, her family and myself, thank you for your kindness, generosity, support and prayers. I just wanted to thank everyone who has helped me. Love life! So thankful! Still waiting trying to stay positive. Love you all, love life!! Melissa, You are in our thoughts and prayers. So happy you have received your transplant! We miss you. Hope some day you will come back to a CMONS meeting to celebrate your recovery with us. God bless. Melissa sending you strength and love .. Your going to beat this !! Melissa, sending you love and strength. Hang in there.now is the time for you. Melissa, all these years caring for everyone else, now is the time for others to care for you. You are a wonderful caring person.